Μπορείτε να βρείτε το αρχείο των διαστημικών φωτογραφιών εδώ. Explanation: Where did the gold in your jewelry originate? No one is completely sure. 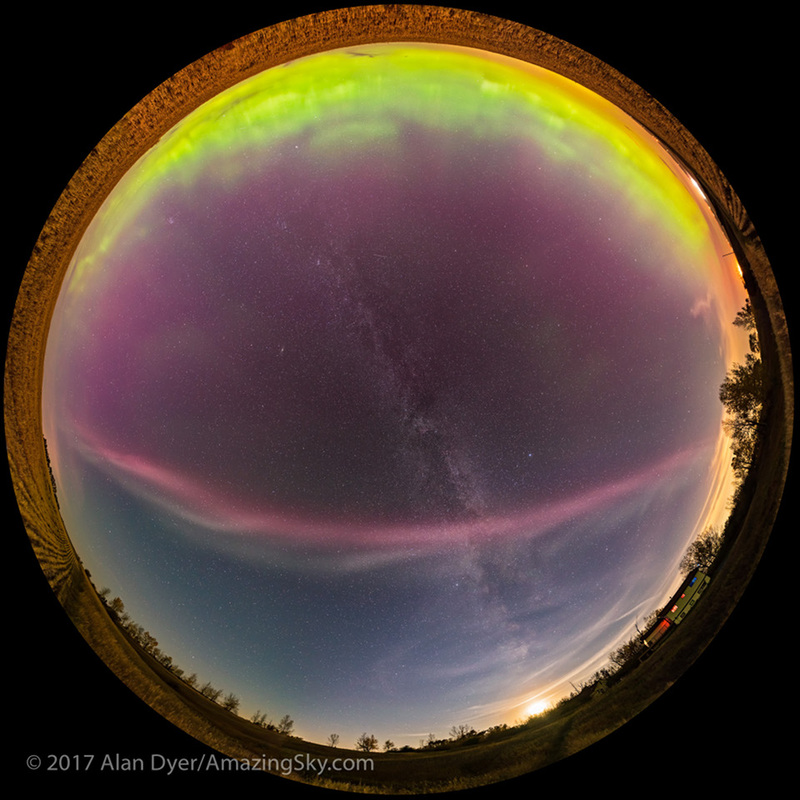 The relative average abundance in our Solar System appears higher than can be made in the early universe, in stars, and even in typical supernova explosions. 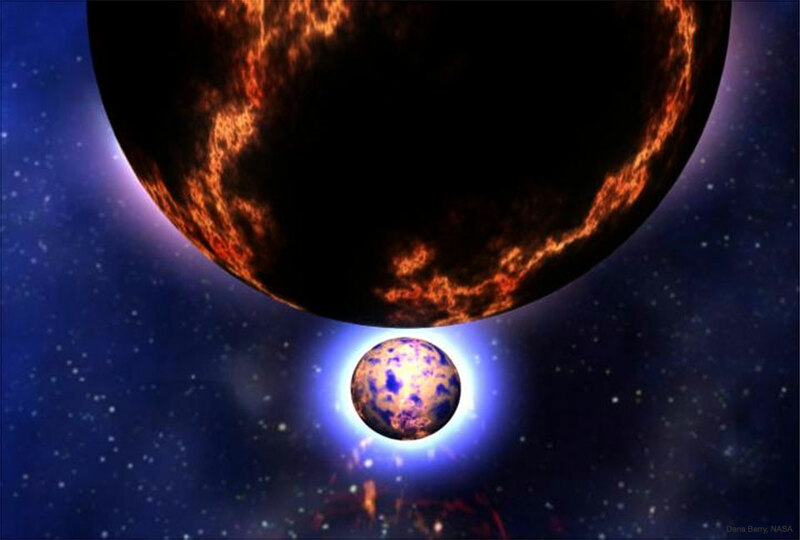 Some astronomers have suggested, and many believe, that neutron-rich heavy elements such as gold might be most easily made in rare neutron-rich explosions such as the collision of neutron stars. Pictured here is an artist's illustration depicting two neutron stars spiraling in toward each other, just before they collide. Since neutron star collisions are also suggested as the origin of short duration gamma-ray bursts, it is possible that you already own a souvenir from one of the most powerful explosions in the universe. Explanation: One of the strangest objects in the outer Solar System has recently been found to have a ring. The object, named Haumea, is the fifth designated dwarf planet after Pluto, Ceres, Eris, and Makemake. Haumea's oblong shape makes it quite unusual. Along one direction, Haumea is significantly longer than Pluto, while in another direction Haumea has an extent very similar to Pluto, while in the third direction is much smaller. Haumea's orbit sometimes brings it closer to the Sun than Pluto, but usually Haumea is further away. 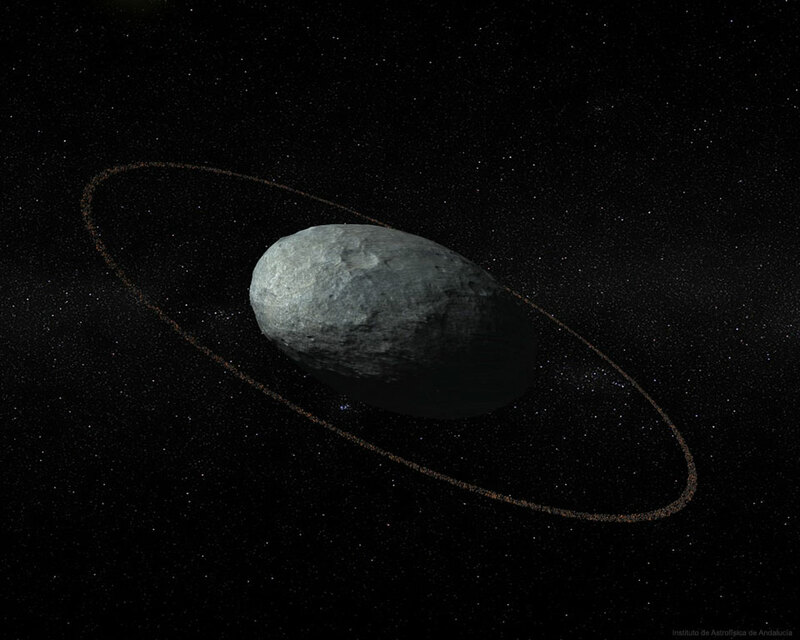 Illustrated above, an artist visualizes Haumea as a cratered ellipsoid surrounded by a uniform ring. Originally discovered in 2003 and given the temporary designation of 2003 EL61, Haumea was renamed in 2008 by the IAU for a Hawaiian goddess. Besides the ring discovered this year, Haumea has two small moons discovered in 2005, named Hi'iaka and Namaka for daughters of the goddess.